The most significant creative figure in the earliest years of American filmmaking, Edwin S. Porter was born on 21 April 1870 in Connellsville, Philadelphia. He left school at fourteen, working at a variety of occupations, chiefly as a telegraph operator, but with a spell in the theatre, and also picking up a considerable knowledge of electricity that was to prove his passport into the world of film. Between 1893 and 1896 he served in the American navy. On his discharge he teamed up with Charles H. Balsey and Richard S. Paine, two friends who had acquired territorial rights for the Edison Vitascope from Raff and Gammon for California. Porter however soon set off again, teaming up with showman Harry J. Daniels with the International Film Company's Projectograph projector to travel the Caribbean. He returned to New York by the summer of 1897, assisting for a while at Richard Hollaman's Eden Musée theatre, moving on with Daniels once more to tour Canada, then returning in the autumn to work as an operator at the Eden Musée. 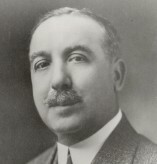 Here he was instrumental in the exhibition of the Passion Play extravaganza and the Eden Musée's imaginative display of Spanish-American war films throughout 1898. Porter left in 1900 to resume his career as a travelling showman, but when a fire destroyed his small projector business, Porter joined the Edison Manufacturing Company full time. Initially employed as a mechanic, Porter gradually turned to the production of films, working in partnership with George S. Fleming, and in a short time becoming responsible as cameraman and director for the greater amount of Edison product. From basic beginnings, Porter absorbed much from his contemporaries, adopting trick work and narrative innovations, and in 1903 he directed two seminal American films, The Life of an American Fireman and The Great Train Robbery. The former film had a simple but effective multi-scene narrative in which a dramatised rescue was intercut with actuality film of a real fire brigade. The latter film, lasting twelve minutes, was the classical Hollywood film in embryo: a exciting story that built up its suspense by linked scenes, owed nothing to the theatre, was wholly comprehensible, offered the thrill of enacted crime, and ended with the revolutionary shock as one of the gunmen point his gun at the camera and fires. The film caused a sensation, was a huge financial success, and its mythic power has yet to dim. Porter continued to work for Edison until 1909, although his work seemed increasingly journeyman as the cinema started to progress beyond him. In November 1909 he left Edison to form his own production company, Defender, next forming the Rex Film Company before selling his interest in 1912 and joining Famous Players, run by Adolph Zukor. Pursuing the prestigious and seemingly profitable strategy of 'famous players in famous plays', Zukor made Porter his chief director, but the features he made from such literary sources as The Prisoner of Zenda and The Count of Monte Cristo (both 1913) showed little cinematic virtuosity. 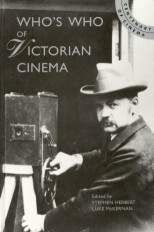 Porter was always more of a technician than an artist, enjoying best those films that involved camera trickery (such as The Dream of a Rarebit Fiend of 1906) and finding most contentment experimenting with projectors and other film equipment. Porter sold his share in Famous Players in 1915 and invested in the Precision Machine Corporation, producers of the Simplex projector. Made president of the company, he lost his fortune in the 1929 stock market crash, and spent the remainder of his life in obscurity, experimenting with film devices that were destined to be used by no-one.